We’re now four years into the current console generation and, if Ubisoft’s CEO Yves Guillemot is to believed, it’s going to another two years at least before we enter the next one. This makes a large degree of sense and isn't without precedent; after all, we waited around seven years between the release of the PlayStation 3 and the PlayStation 4 and eight between the Xbox 360 and Xbox One. In addition to this, the greater power of the PS4 Pro and Xbox One X means that there isn’t any urgent need for a new generation as far as technological advancements are concerned. Guillemot was quick to emphasize that his predictions were merely “perception” rather than the result of having any “confidential information” from Sony or Microsoft. 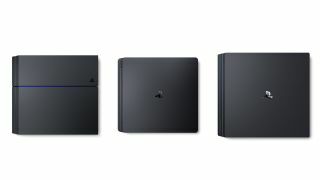 It’s a perception that is, however, shared by industry analyst Michael Pachter, who has repeatedly said that he thinks the next PlayStation console will appear in 2019 or 2020 when the sales of the PS4 start to slow. At this time, he says, the PS4 Pro is likely to become the new base model. Taking the slow-and-steady approach has benefits to consumers, too; not only does it give them the option to play much more beautiful games, it does so in a way that allows them to keep the same game library for a much longer period. It also means that those not interested in 4K don't have to invest just yet to continue enjoying their favorite games.